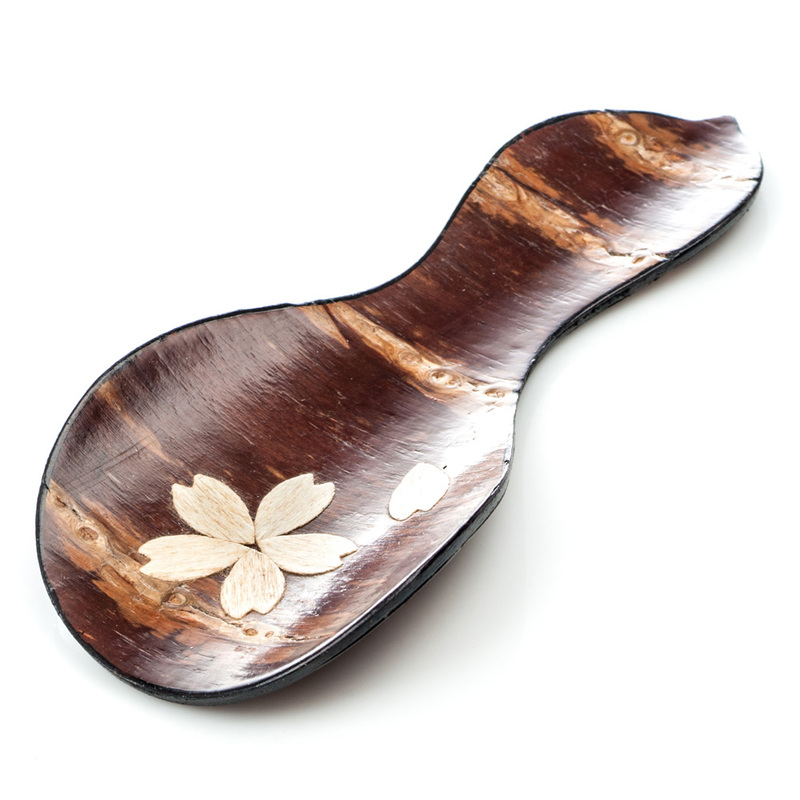 Exclusive to The Japanese Shop, the Sakura Cherry Bark Handmade Japanese Tea Scoop is a traditional Japanese tea scoop which has been hand crafted from wild cherry tree bark. 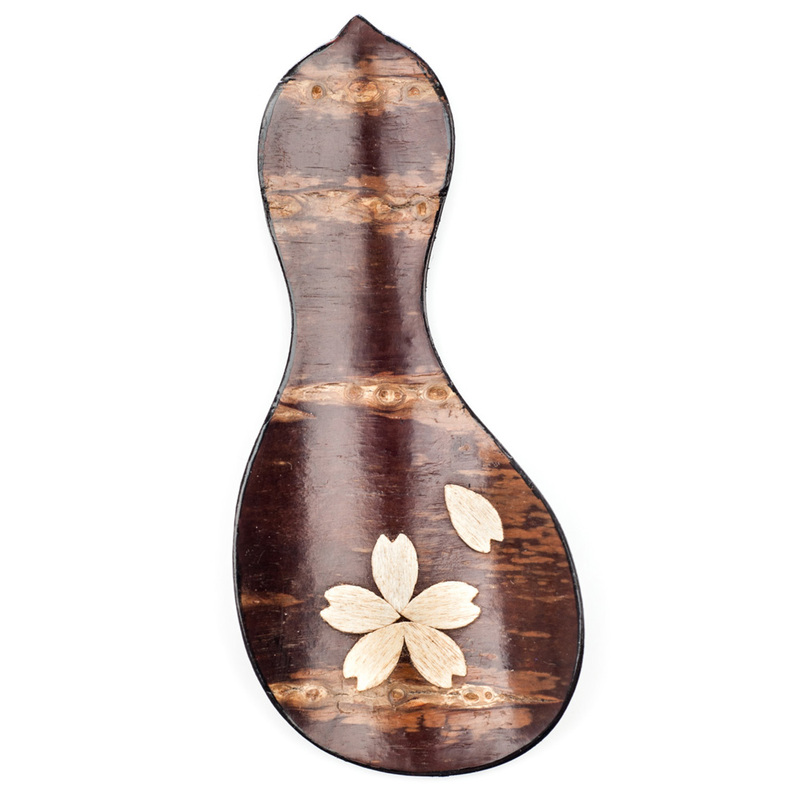 This beautiful Japanese wooden tea spoon features a cherry blossom or sakura design, has a high gloss, deep rich colour and is smooth and strong. 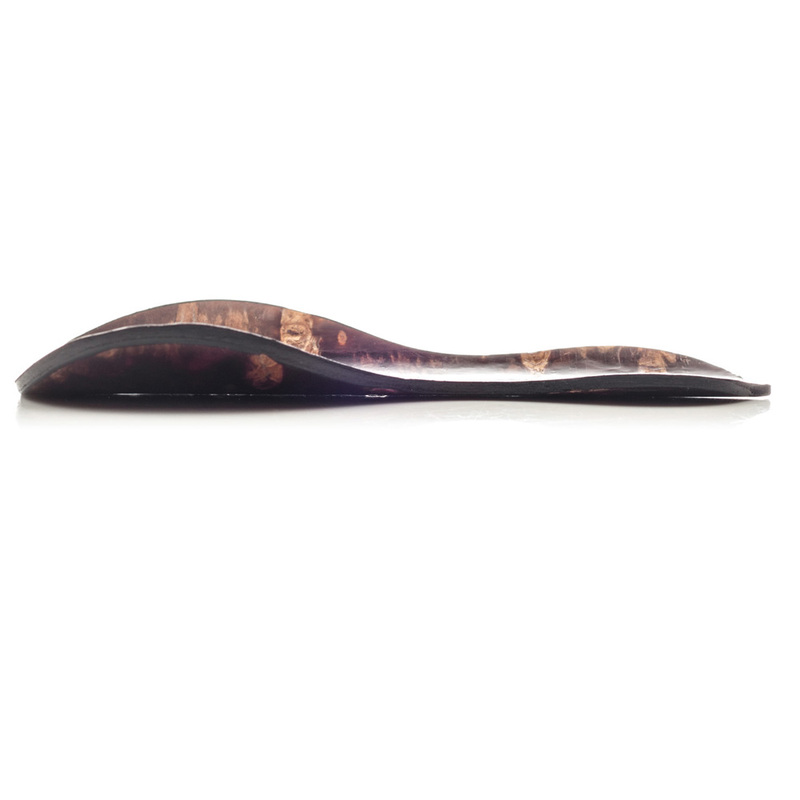 We recommend the Sakura Cherry Bark Handmade Japanese Tea Scoop for people who really appreciate their tea and great quality traditional Japanese craftsmanship. Buy your Sakura Cherry Bark Handmade Japanese Tea Scoop online and have it gift wrapped free of charge, or visit our showroom for this and many more authentic Japanese tea caddies!